"I will go anywhere and do anything in order to communicate the love of Jesus to those who do not know Him or have forgotten Him." Welcome to the parish faith community of St. Frances Cabrini Church. We hope that this website will encourage you to join us in the many spiritual, social and educational activities that our parish church offers. As you will discover, ours is a very vibrant and spiritual faith community. We need all of the gifts and talents that God has invested in each of you. You may come from another faith community that offered other wonderful opportunities for prayer, worship, education and sociability. We value your experiences and suggestions, as we are eager to learn. The ministries you will find listed provide opportunities for us to share our talents and serve one another. Each of us is invited to contribute in our own way. If there is a ministry or organization that interests you, please call the parish office. 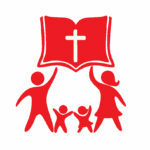 The mission of the Catechetical faith formation process seeks to provide adults, youth and children with knowledge, experiences and skills necessary to become faithful, fruitful disciples of Jesus Christ. 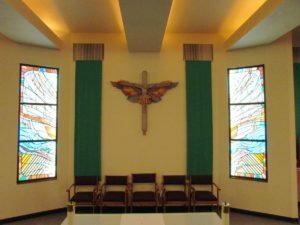 See the latest events scheduled at St. Frances Cabrini Catholic Church. Also find updates and blog posts about our Tucson, Arizona parish. 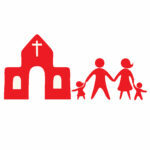 Our weekly church bulletins provide information on our current mass schedules, events and more. 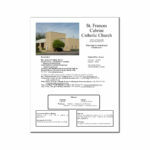 You will also find contact information for bulletin advertising. We welcome you to join our family in Christ. If you would like to register with our parish and share in our faith community, please consider registering with us.